Gmail email is a mailing service created by Google Inc. It offers free email account to subscribers as well as a paid email account. It also offers a robust spam filter and has an archive. The Gmail email account is arguably the most popular email on the planet. To create a Gmail account is pretty straight forward and stressfree. Am sure there are several reasons why you might want Gmail email. Whatever the reason is we would set a straight guide to get you home and dry. 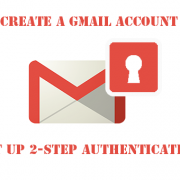 To create a Gmail account is easy, free, and quick. 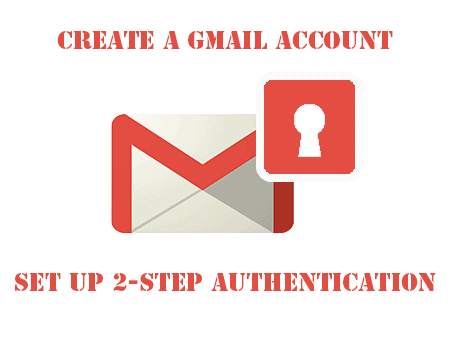 Below is are well-detailed steps you need to create a Gmail account. Enter your first and last name in the field provided. Type in a username of choice. In the space provided to Choose your username. Enter the desired password for your Gmail email account in the space for Create a password and Confirm. Note: Pick a password is complex and can be remembered by you. Also, enable two-factor authentication for enhanced security. You will be asked to verify your phone number. It is optional. Enter a mobile number and email address for account verification and authorization. Google the email provided in this step to recover a lost password. Click “I agree” after reading the Privacy and Terms. You won’t be able to complete the process until you agree. Once you click I Agree, you will be redirected to My Account page for the Gmail email just created. Enter your new Gmail account login to start managing your personal information. Two-step authentication is an extra layer of security see off unauthorized access to your email account. Next Sign into your Gmail email account. Click to turn on 2 step verification and fill in the phone number in the option for “Voice or Text Message”. Then, Click on ‘Send code’. Finally, Click ‘Confirm’ to turn on 2-step Verification on your Gmail email. Also know other cool stuff about Gmail including how to block emails, archive emails and pros, and cons of Gmail account.